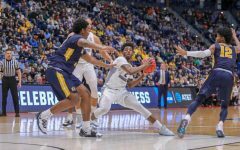 Marquette men’s basketball is no stranger to having a small amount of turnover from season to season. 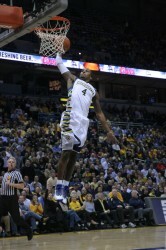 Following the 2011-12 season, Darius Johnson-Odom and Jae Crowder graduated, both leading scorers for the squad. 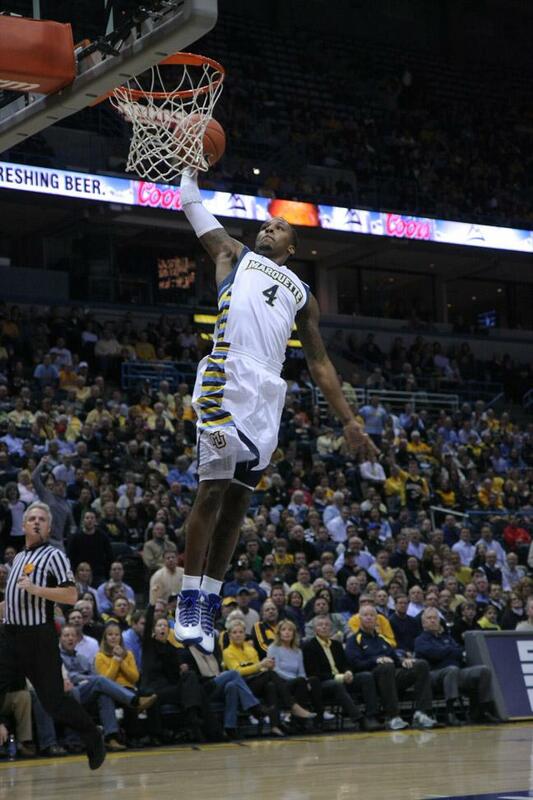 The following season, Vander Blue left Marquette a year early to go play professional basketball. 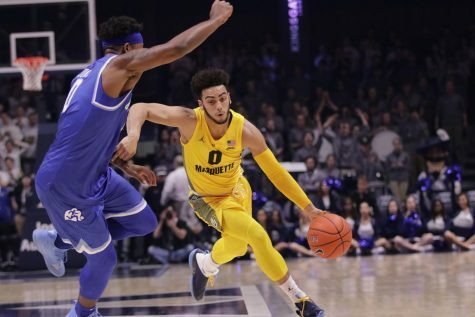 This past summer, Marquette landed three transfers but said good by to its leading-returning scorer. 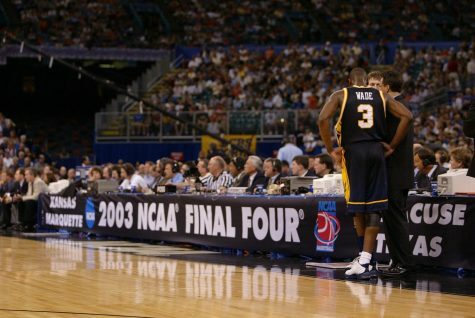 Todd Mayo announced July 30 he would be forgoing his senior season to play professional basketball. 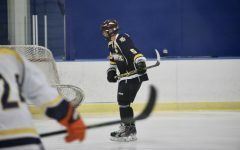 With the roster shake up, new head coach Steve Wojiechowski was dealt a blow to the rebuilding process. 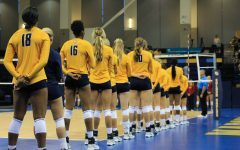 Mayo’s departure leaves Marquette with just nine players to start the 2014 season (Indiana transfer Luke Fischer becomes eligible in December, per NCAA transfer rules). 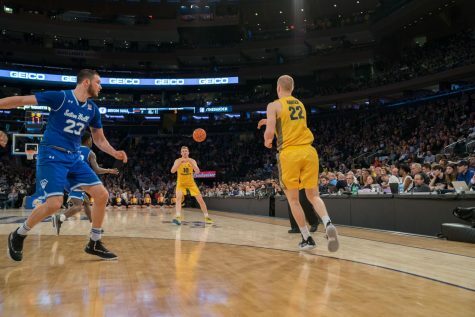 Wojciechowski also landed senior Matt Carlino from BYU, who can immediately start playing for the Golden Eagles. However, Loyola-Marymount transfer Gabe Levin and Minnesota transfer Wally Ellenson cannot play until the 2015-16 season. 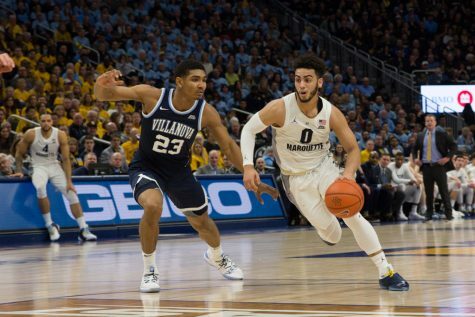 Mayo’s exit, along with the absences of graduated seniors Jamil Wilson and Davante Gardner, means Marquette will have to replace 72 percent of its scoring from last season. In addition, the Golden Eagles need to replace five of their top six scorers from last season. 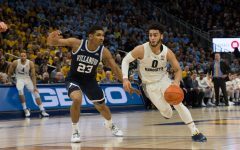 Mayo’s Marquette tenure could be labeled as disappointing, but it seemed like the best was yet to come from the Huntington, W. Va., native. Mayo, who scored at least 20 points in the last three games of a subpar 2013-14 season, could have been the top option in Wojciechowski’s offense. To show how important Mayo would have been to his team, freshman forward Deonte Burton was the second-highest returning scorer behind Mayo, averaging only 6.9 points per game. Derrick Wilson is the next-highest scorer at five points per contest, and he will not likely see as many minutes as he did in 2013. The Golden Eagles will obviously miss Mayo’s scoring ability, but must also find a way to replace his volume of shots. Mayo attempted 228 shots from the field last season and accounted for 16 percent of the team’s 3-point baskets. 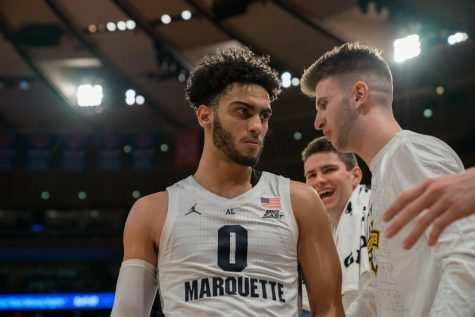 Assuming Mayo would have averaged more minutes as a starter in 2014, Marquette will likely have to replace at least 250-275 field goal attempts this season. There could be a silver lining for the Golden Eagles going forward without Mayo. Mayo was a pure scorer, but he did not add much on the defensive end of the floor. He had an even 1:1 assist-to-turnover ratio and recorded only 26 steals throughout the season. Most importantly, Mayo’s absence clears up space in a crowded backcourt. Former ESPN Top-100 recruits Jajuan Johnson and Duane Wilson will get an opportunity for extended minutes at shooting guard. Johnson played in 21 games last season, averaging 13.5 minutes and 4.3 points on 44 percent shooting. Wilson redshirted his freshman campaign after suffering a stress fracture in his left leg. 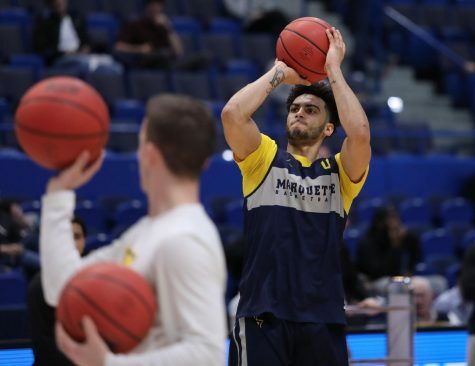 Another player who could get in the mix is Sandy Cohen III, the lone recruit who remained committed to Marquette after Williams left the program. Cohen is listed as a forward, but at 6-foot-6, he could rotate between shooting guard and small forward. 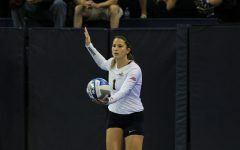 Carlino’s arrival proves to be even more important for the Golden Eagles with Mayo gone. 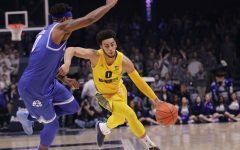 The veteran point guard averaged 12 shots per game last season with BYU and his experience will take some pressure off of Johnson, Wilson and Cohen to perform immediately. 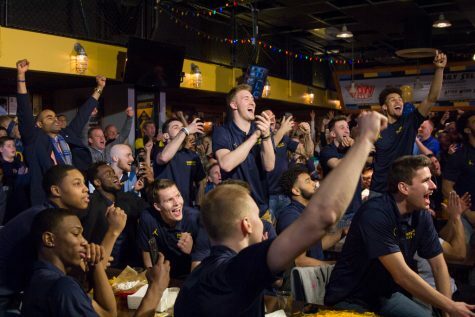 Despite being sidelined for the entire upcoming campaign, Levin and Ellenson bring a lot of upside to the program. 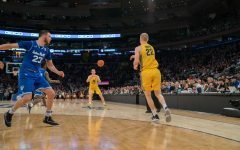 Levin has the size to play small forward and can log plenty of minutes if the Golden Eagles are still lacking depth at the position. 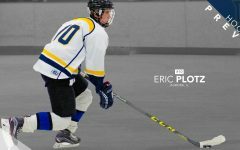 He brings a lot of athleticism and has the talent to be a scoring threat, as shown by being the third highest scorer on the Lions last year. Levin could replace senior forward Juan Anderson after this season. As for Ellenson, he brings a lot of size and defensive capabilities to Marquette. Standing 6-feet-10, Ellenson brought down 12 rebounds in just 62 minutes of game play, a .19 rebound-per-minute ratio. 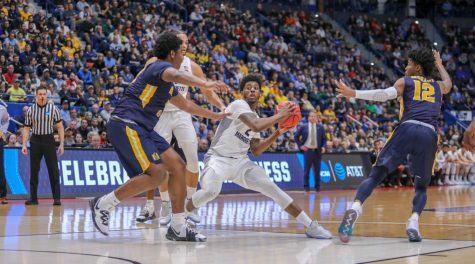 To compare, Marquette’s best rebounding guard last season was Derrick Wilson, who pulled down 122 boards in 987 minutes on the court, a .12 rebound-per-minute ratio. 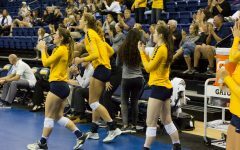 Losing Mayo is certainly a big blow for the Golden Eagles for this upcoming season, but it might not be the end of the world for the team. Marquette landed three quality transfers, and with the extra minutes the underclassmen will receive from Mayo’s departure, could make the rebuilding process easier and more successful for Wojciechowski.